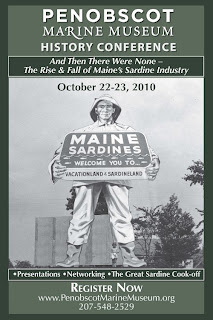 Symposium at Penobscot Marine Museum and will also Feature "Great Sardine Cookoff". 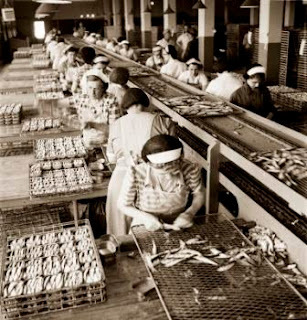 A history conference at Penobscot Marine Museum will examine the rise and fall of Maine's once-great sardine industry, and present analysis, documentation and personal reminiscences of the final days of Maine's last sardine cannery. 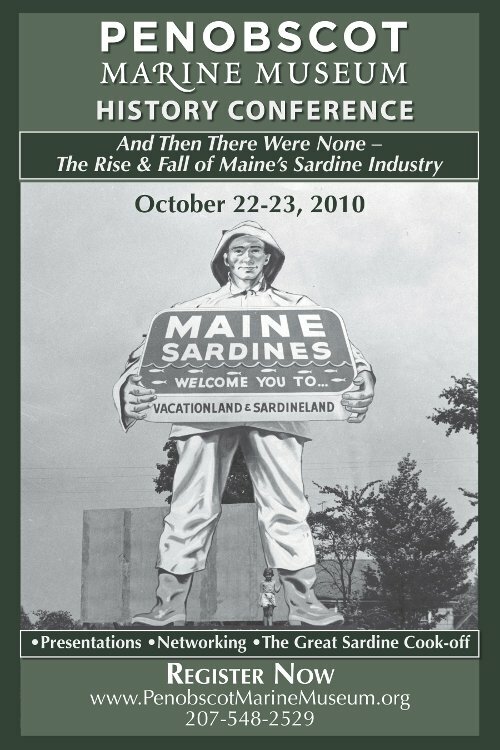 "And Then There Were None -- The Rise & Fall of Maine's Sardine Industry" will be held Friday evening and Saturday, October 22-23. The museum's history conference draws together amateur and professional scholars and anyone interested in the history of Maine and the Penobscot Bay region. It features an evening of informal sessions and a full day of formal presentations. Presenters will include: David Libby of the Maine Department of Marine Resources; Peter Colson, manager of the Stinson Seafood plant in Prospect Harbor; Al West, Stinson's director of purchasing; Dr. Pauleena MacDougall of the Maine Folklife Center; Bill Kuykendall of the New Media Center at the University of Maine; David Conover of Compass Light Productions; and photographer Mark Starr. Saturday's luncheon will comprise "The Great Sardine Cookoff." Local restaurants will donate their best sardine-based dishes, and conference attendees will vote for their favorites. Nancy English, restaurant reviewer for the Portland Press Herald, will be on hand to critique the "sardine cuisine." Contestants/donors include Brick House Restaurant, Captain Shorty's, Coastal Coffee, Cooks Crossing (all of Searsport), the culinary arts program at Waldo County Technical Center, and Cappy's Chowder House of Camden. A non-sardine option will also be available. Prior registration is recommended. For details and to register, call 207-548-2529 or visit www.PenobscotMarineMuseum.org.